Moving from one state to another can present its own unique challenges. It typically takes more time, planning, and effort to pick up and move everything to a new state. 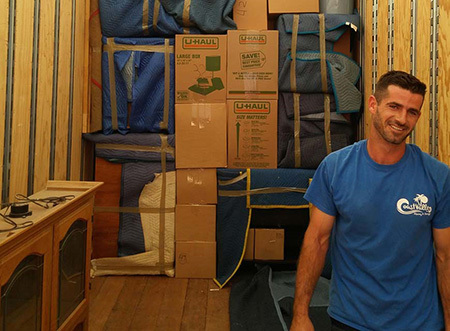 Because of these challenges, it’s important to find an experienced interstate moving company. For over 40 years, Coast Valley Moving & Storage, a San Clemente, California interstate moving company, has helped customers plan their state-to-state moves with unmatched support and service; and we can help you, too! Specialized packing solutions – we can provide fragile-only or complete packing services. This includes the specialized skills and resources required to properly handle pianos, cars, motorcycles, fine art, electronics, medical equipment, laboratory equipment, trade show booths and much more. Custom crating – when your household goods are very large, heavy or otherwise cumbersome, moving them may seem very complex. It can be. However, the professionals at Coast Valley have the resources and training to quickly establish a plan for safe, secure packing and transport of these items, often with custom crates designed to house your items and prevent damage. Moving supplies – Be it mobbing boxes, crates, wrap, tape or other materials, no move can be completed properly without the right resources. Not to worry – we’ve got them! In-home Estimates – Experts will evaluate your items in order to provide you with quick, accurate pricing based on all factors associated with you move, along with the development of your custom relocation plan. When you’re moving state to state, it’s important to not rely on just any mover, but rather to trust an experienced interstate moving company backed by a national, or international, van line such as Wheaton World Wide Moving. The personalized interstate moving services offered by Coast Valley Moving & Storage is yet another factor that raises the bar. Our customers work directly with a move coordinator, leveraging 40+ years in the moving industry to craft a relocation plan that works for both your moving requirements and your budget. Finding the right moving company that specializes in interstate moving is easier than ever. Count on Coast Valley Moving & Storage for all your state-to-state moving needs. If you’re ready to get started, call today or receive a free moving estimate through our online form.